Lenovo has just taken the covers off its new Moto Z2 Play, its latest smartphone under its modular Moto Z series. Replacing its current Moto Z Play, the new model has updated hardware plus it’s also thinner (5.9mm) and lighter (145g). 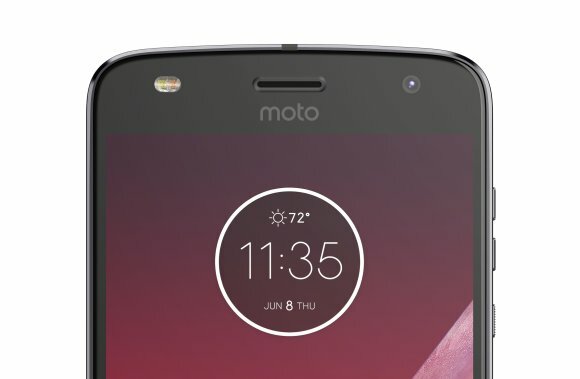 The Moto Z2 Play retains the same thin slab design with a large round camera bump and it is still compatible with existing Moto Mods. It has a similar 5.5″ Full HD Super AMOLED display but they have managed to trim its height and width by 0.2mm. The front fingerprint sensor has been redesigned and it also supports one button navigation that can replace your on-screen “back”, “recent apps” and “home” buttons with swipe gestures. Under the hood, the processor gets updated to a 2.2GHz Octa-Core Snapdragon 626 processor and it comes with either 3GB RAM + 32GB storage or 4GB RAM + 64GB storage. It also accepts microSD expansion up to 2TB. 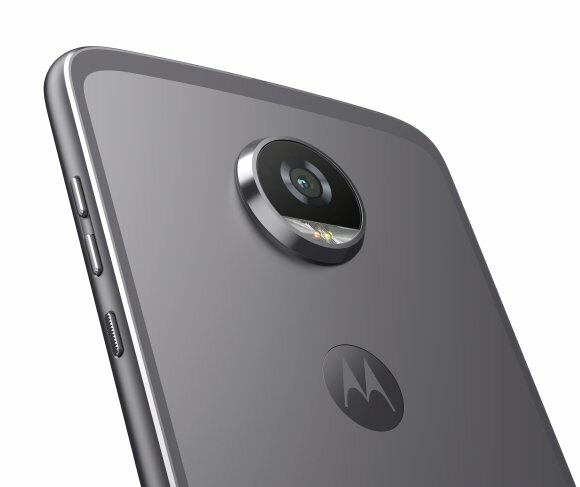 The Moto Z2 Play gets as significant in the camera department. The main rear shooter is now a 12MP f/1.7 dual autofocus pixel camera that has Laser AutoFocus (that works up to 5 metres), PDAF and dual-tone LED flash. Over at the front, the 5MP f/2.2 camera now comes with dual-tone LED flash for a more natural-looking illumination. 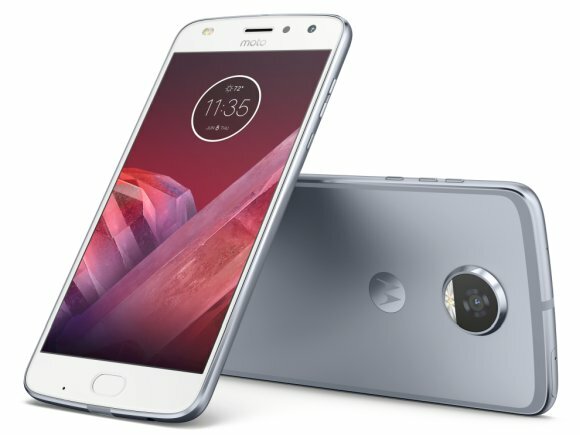 The Moto Z2 Play still retains a 3.5mm headphone jack and it charges via USB Type-C with USB 3.1 support. The battery, unfortunately, has been reduced from 3,510mAh to 3,000mAh but Lenovo reckons that it can last up to 30 hours and a quick 15-minute TurboPower charge can give you 8 hours of battery life. Out of the box, the Z2 Play runs on the latest Android 7.1.1 Nougat. The device isn’t waterproof but it has a water repellent nano-coating that protects it from rain and accidental splashes. The Moto Z2 Play comes in 3 colours – Lunar Gray, Fine Gold, Nimbus Blue, and it’s priced at US$499 (about RM2,138). It will be available first in Brazil and eventually will roll out globally starting this month. 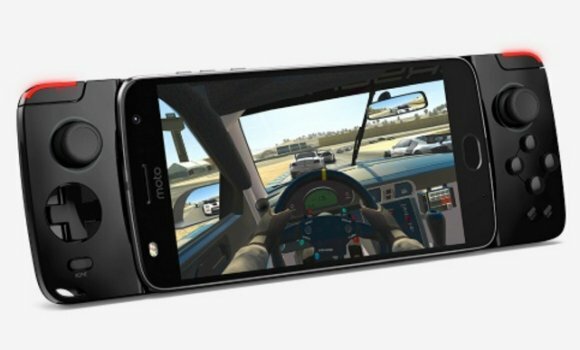 We expect the Moto Z2 Play to hit Malaysia in the months to come. 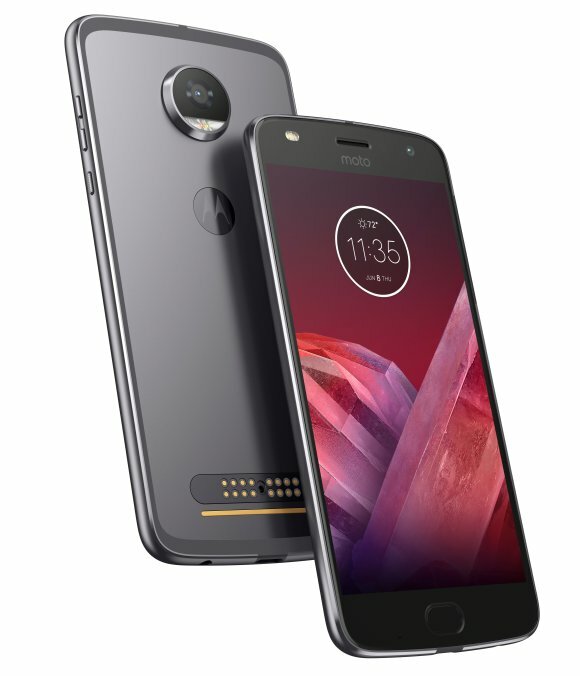 Apart from existing Moto Mods, Lenovo has also introduced newer options that will work with the Moto Z2 Play and existing Moto Z devices. To transform your Moto Z device into a gaming machine, the Moto GamePad gives you dual control sticks, a D-Pad and four action buttons. For a longer gameplay, it even comes with a 1,035mAh battery. The Moto GamePad is priced at US$79.99 which is about RM342. Next is Lenovo’s newer JBL SoundBoost 2 external speakers. It’s slightly thicker at 14.5mm (SoundBoost: 13mm) but it’s lighter at 135g (SoundBoost: 145g). Like the previous version, it has two built-in speakers and a 1,000mAh built-in battery that lasts 10 hours of music playback. It has a kickstand and it’s also splashproof for better durability outdoors. It also has a USB Type-C port for you to charge externally without having to snap it onto a phone. The new SoundBoost 2 is priced at US$79.99 (RM342) which is the same price as its first generation model. 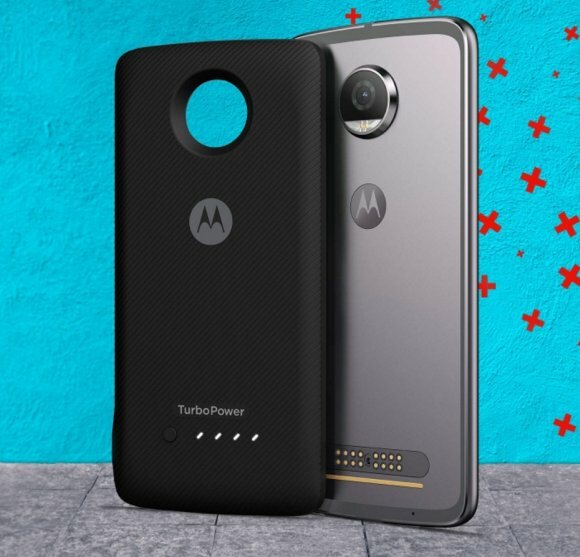 If the built-in 3,000mAh battery on the Moto Z2 Play isn’t enough, there’s the new Moto TurboPower Pack. Essentially, it’s a fast charging power pack with 3,490mAh capacity that can do 50% charge in just 20 minutes. Over at the back, it has battery level indicator and you can charge this externally with its own USB Type-C port. 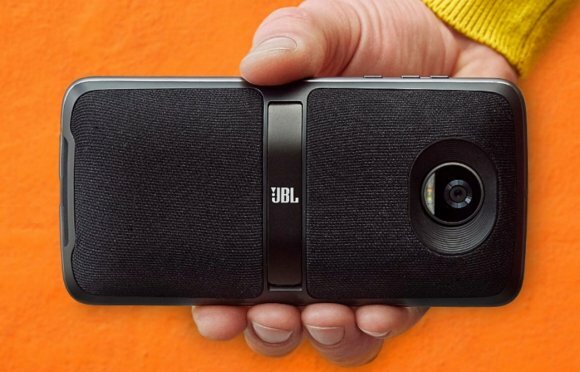 It’s also going for US$79.99 (about RM342) like the other two Moto Mods. For greater convenience, Lenovo has also released its new Moto Style Shell with built-in Wireless Charging. 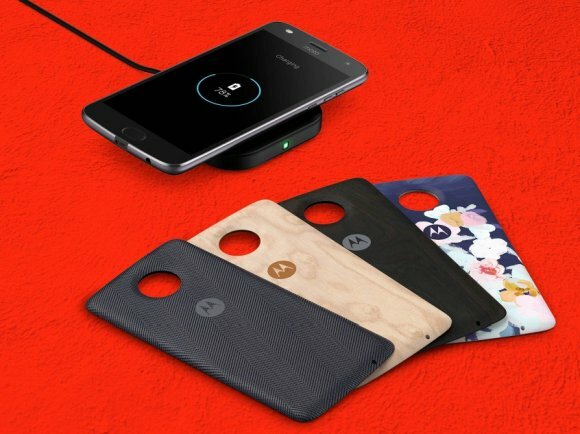 This gives any Moto Z device fast wireless charging (up to 10W) in a thin form factor. It should work on most wireless charging pads as it supports both Qi (Dual mode Qi – 10W) and PMA 3.0 (5W) charging standards. 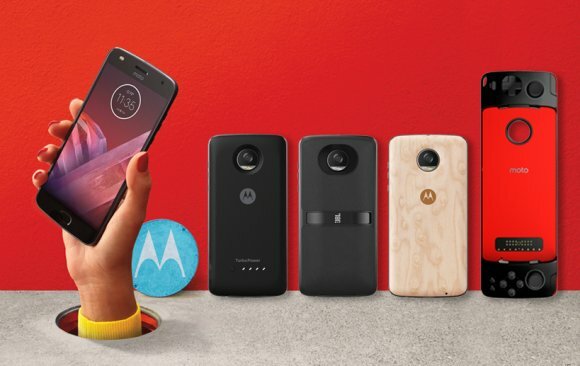 The Moto Style Shell with Wireless Charging is going for US$39.99 (about RM171).